1. The Easter Bunny Invasion! Every year Mildred the Easter Bunny delivers Easter eggs to children around the world. But this year, one devious fox wants to take over Easter with his own flavour of Easter eggs. With the help of Santa, Clarence the slug and many more, will Mildred be able to save Easter? Hilariously clever tale about Easter Bunnies and what they do during the holidays. Guaranteed to make a good bedtime read for young and old children. Have you ever wondered what makes Easter so special? 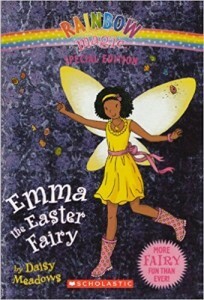 Each year, an Easter Fairy called Emma paints three special eggs to make sure Easter is perfect. But This year there is trouble. Jack Frost has a plan to ruin everything. With no special eggs and no Easter Bunny. How will Emma and her friends save Easter? A lovely little book, plus the ideal Easter gift for any little girl. 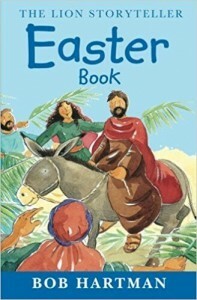 Updated collection of 23 Easter stories, including the events of the first Easter from Palm Sunday through to Jesus’ resurrection encounters with his friends and followers. 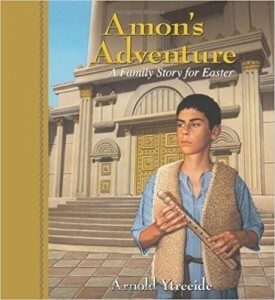 Each story has been retold in a fresh and engaging way to keep younger readers interested and educated on the real meaning of Easter. A powerful and magical tale about friendship and courage during dark times. When Grace’s mum gets sick, her world turns upside down. 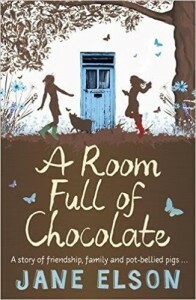 She is made to live with her grumpy old granddad on his farm and becomes to target of bullying at school. Feeling Lonely and confused, her pain radiates throughout the story. It is her new friendship with Rainbow girl, Megan and her pig, Claude that gives her strength to survive without her mum. With the help of Megan and her pig, Grace is able to hatch out a plan to see her mum at Easter time. A moving story that captures the true nature of love, friendship and resilience. 5. 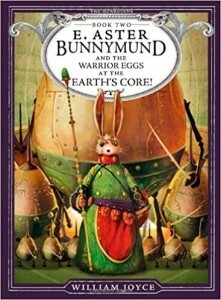 Aster Bunnymund: and the Warrior Eggs at the Earth’s Core! There’s nothing better than a magical bunny who is highly skilled in martial arts. E. Astor Bunnymund (aka The Easter Bunny) is not your average bunny. 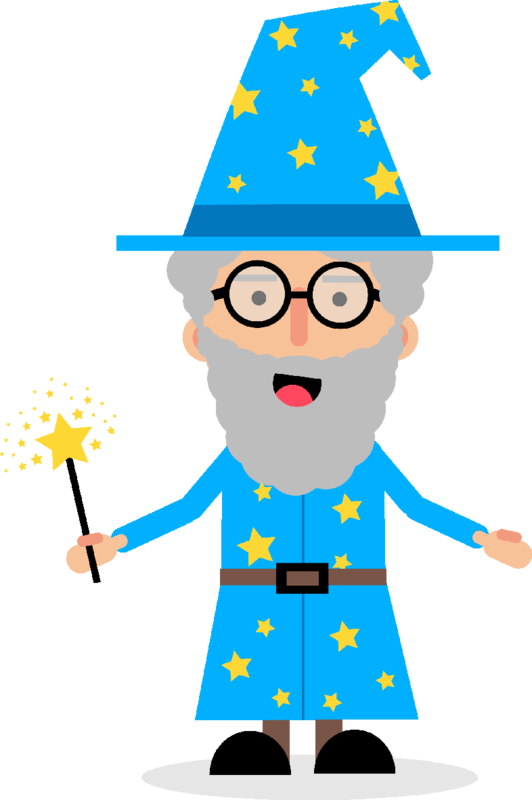 He is the oldest magical being on Earth and the architect behind a network of speedy tunnels, that gives him secret access to any place on the planet. Bunnymund and his army of eggs are no match for Pitch, the nightmare king and his venomous serpent. A fast-paced tale filled with action, long-lasting friendships and beautiful illustrations. Consider it a fairy tale for the new generation of kids. In a rural Pennsylvania Dutch community, Katy and Carl discover a new Easter Tradition, the egg tree. It all begins at Grandma’s farm, where the children wake up early for an Easter egg hunt. Failing to find any eggs, Katy goes up to the attic and to her surprise she finds six beautifully decorated eggs. Katy brings the eggs to her Grandma, which tells the children a story about Easter celebrations from when she was a little girl. 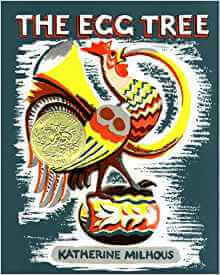 She would decorate a tree with colourful eggs, just like a Christmas tree. Feeling inspired the children decide to make their own egg tree. As a bonus the author has kindly included instructions on making a real-life egg tree for your own home, so get making and reading! 7. 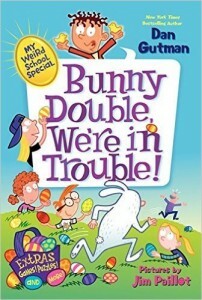 My Weird School Special: Bunny Double, We’re in Trouble! 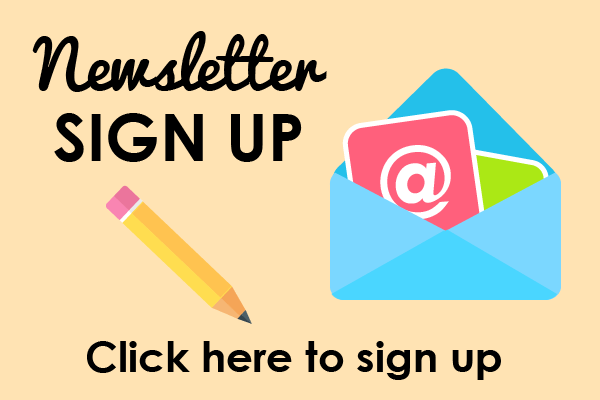 Filled with hilarious Easter themed stories, games and puzzles. 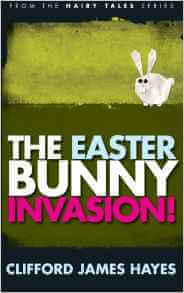 This is the perfect book to make Easter a fun-packed extravaganza for kids. Mayor Hubble is hosting an Easter egg roll with a special Easter egg hunt at his mansion. When word gets out that the prize of the golden egg has a thousand dollars inside. The egg hunt quickly becomes a free-for-all with a fantastic finish. Packed with funny jokes and cool characters, any child is guaranteed to love this book! 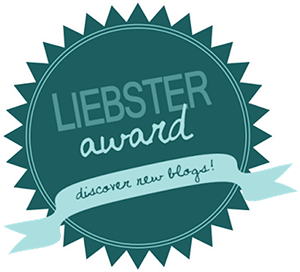 Beautiful tale of multicultural friendships, forgiveness, kindness and the joy of selflessness. 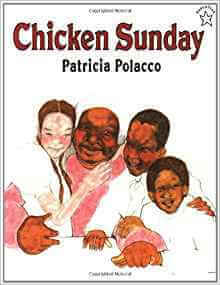 The book tells the story of three children as they try to raise money to get their Grandma, Miss Eula an Easter Sunday hat. They ask the shopkeeper, Mr. Kodinski who sells the hat, if they could do some odd jobs around the shop to earn money. But later on his shop is vandalized and he blames the children. As the children try to prove their innocence and earn money for the hat, they discover true kindness and friendship in the people they meet. The detailed illustrations give the story an emotional and inspiring feel that both young and old readers can relate to. A perfect book for reluctant readers. It’s colourful illustrations and creative font style is guaranteed to engage readers of all ages. Geronimo is searching for his sister, Thea on Easter Island. Using real facts and riddles, can Geronimo find his sister? This is definitely not your typical chapter book, with it’s easy to read text and colourful images to keep young readers interested. This captivating Easter story takes families through the season of lent all the way to Easter Sunday. It tells’ the story of Amon and the sacrifices he makes to save his father’s life. 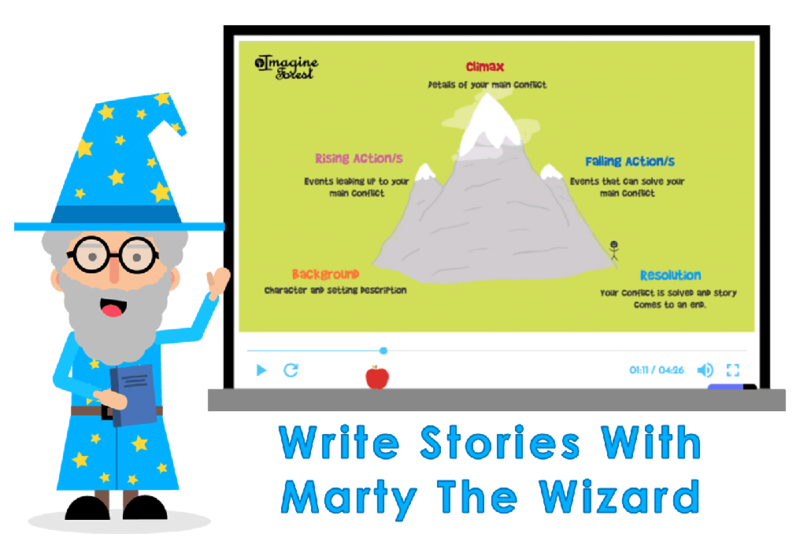 Mixed with real people and some fictional characters, this makes an interesting and educating read for both old and young readers. Plus the short chapters are perfect for making lent a meaningful experience for everyone! 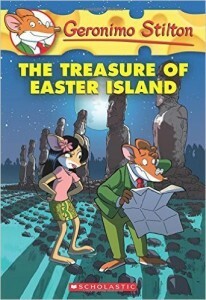 Any other Easter books for kids aged 8 to 11? Easter is a time for bunny rabbits, chocolate and religious celebrations. 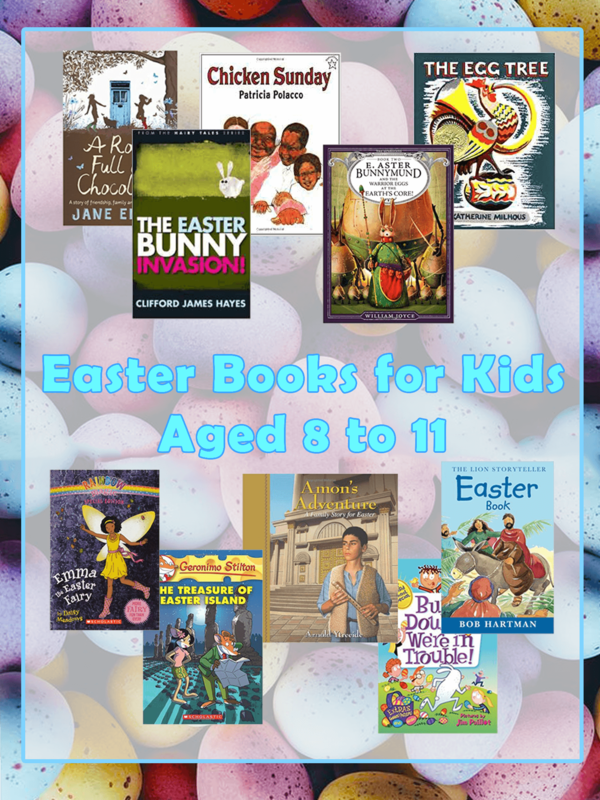 We think these Easter books for kids aged 8 to 11, fit perfectly with the true meaning of Easter. What do you think? Is there any other Easter books for kids missing from this list? Let us know in the comments below.